K9 Lacey is in need of a kennel and a Ranger K9 Trauma Kit. Donate today to make this grant possible! Here’s how this equipment both helps Lacey and Chief Deputy Bryant on the job. K9 Lacey is a 7-year-old Labrador Retriever. Lacey is a U.S.P.C.A. 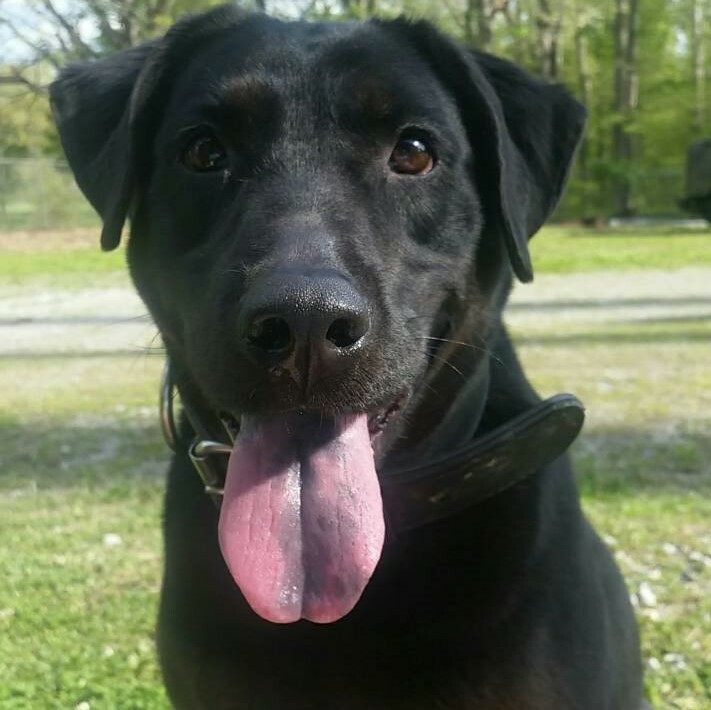 certified narcotics K9 and she is assigned to Chief Deputy Spencer Bryant of the Houston County TN Sheriff’s Office. After beginning her law enforcement career at a neighboring Sheriff’s Office, K9 Lacey was given to the agency in 2014 and is currently the only active K9 in the department. She was originally rescued from a shelter and then began training in narcotics detection. K9 Lacey can detect Heroin, Methamphetamine, Cocaine, and Marijuana. She loves to work and be around people, especially kids.